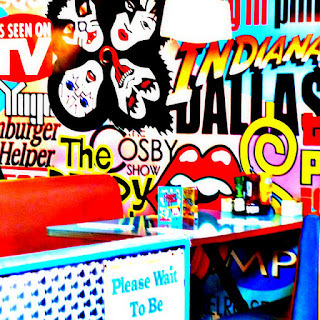 Whatever your thoughts on diner food, no one could mistake the typical diner fare as haute cuisine. 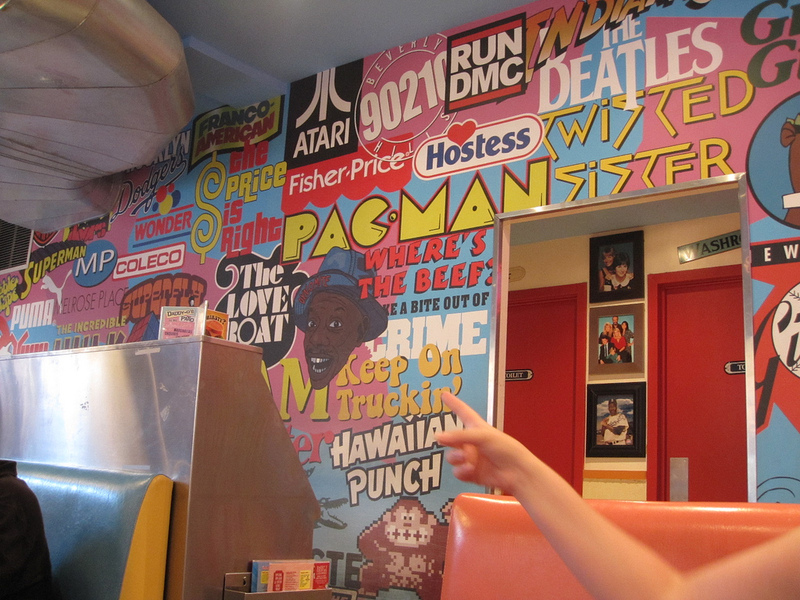 That's not to dismiss the diner's place in American pop culture by any means. Visitors to my city (New York) in particular are frequently overwhelmed by the gastronaumic choices available. Too many budget conscious travellers in New York go to the same big chains they could just as easily get at home in Omaha as they could in Midtown Manhattan, yet they pay too much to patronize places like Olive Garden or TGIFridays. 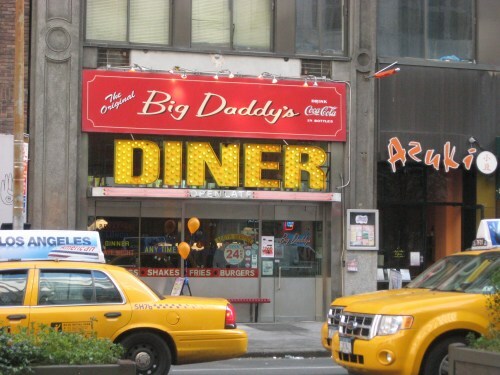 While I'm on the subject of pop culture, a New York company known as Branded Restaurants USA has a diner chain known as Big Daddy's Diner (and note the music playing in the background on its website!) 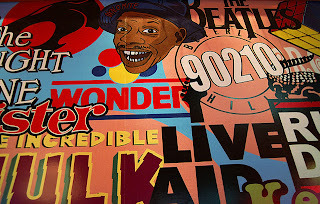 in it's 3 distinct dining businesses (the others consist of a Mayland-styled crab restaurant known as City Crab, and southern-themed restaurant chain known as Duke's Roadhouse). 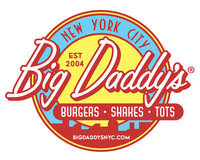 "Big Daddy" is hardly a unique name in American culture. For example, a quick Google search reveals businesses in virtually every location with the same name. 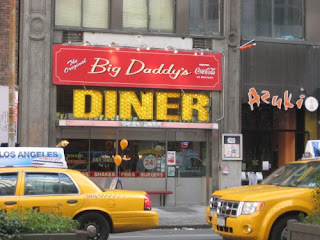 But Big Daddy's Diner, which currently has a handful of locations in New York, is looking to expand in prime real estate locations. I have no background on what they're looking for besides a AAA retail location in a good location, but the concept is like many others and could expand soon. 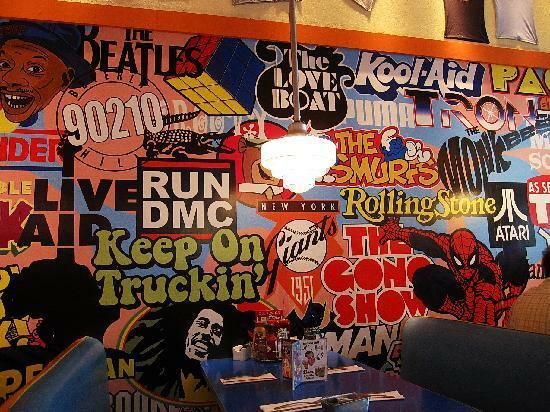 Obviously, the decor is something that can be mass-produced and replicated in locations wherever they may be built, though I should note that the wall coverings are actually painted on the walls, not wallpaper. 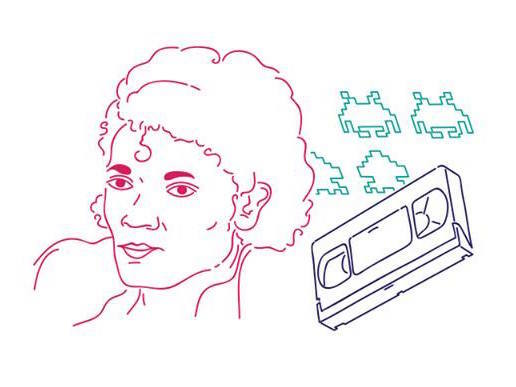 But the American pop culture icons are everywhere in the decor and on the menu, and most are particularly relevant and seem geared towards Generation X. They also have a frequent diner program, and check out their menu by visiting HERE. If menu selections, such as calling their salad selection "Green Acres", the burgers "Where's the Beef?" or the smoothies selection (appropriately enough) "I Love Juicy", or a sandwich with a title like "Name that Tuna", all these things are are clearly named after pop culture TV shows (or advertisements, notably Wendy's famous "Where's the Beef" ads which ran during the 1980s). 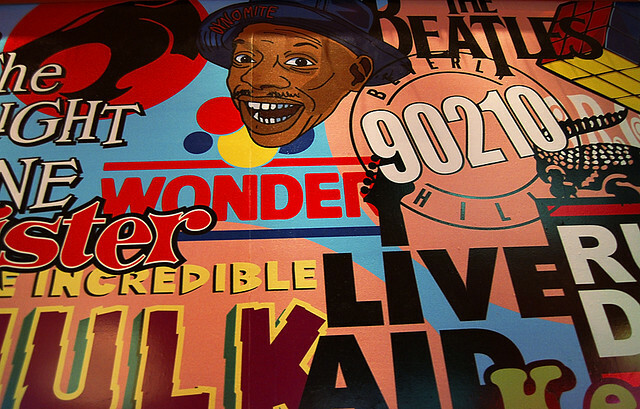 Indeed, much of the menu is named after other pop culture references. As for the food, well, it's typical diner fare (incidentally, they don't serve french fries, but tater tots, I'd guess Mercedes from TV's "Glee" would be delighted with that!). It's not the best, nor the worst for diner food, but obviously it can be replicated virtually anywhere, which I suspect is what the company wants to do. Incidentally, the one I've been to is located in the Union Square area of New York, but each location has recurring themes. 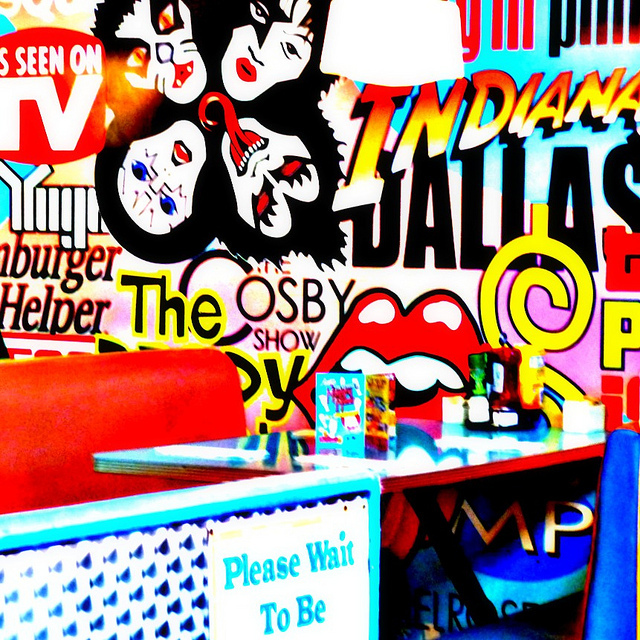 What does anyone think about mass-marketing this as a diner concept?